Three years ago I heard about this super green powder which seemed to be the new in thing. 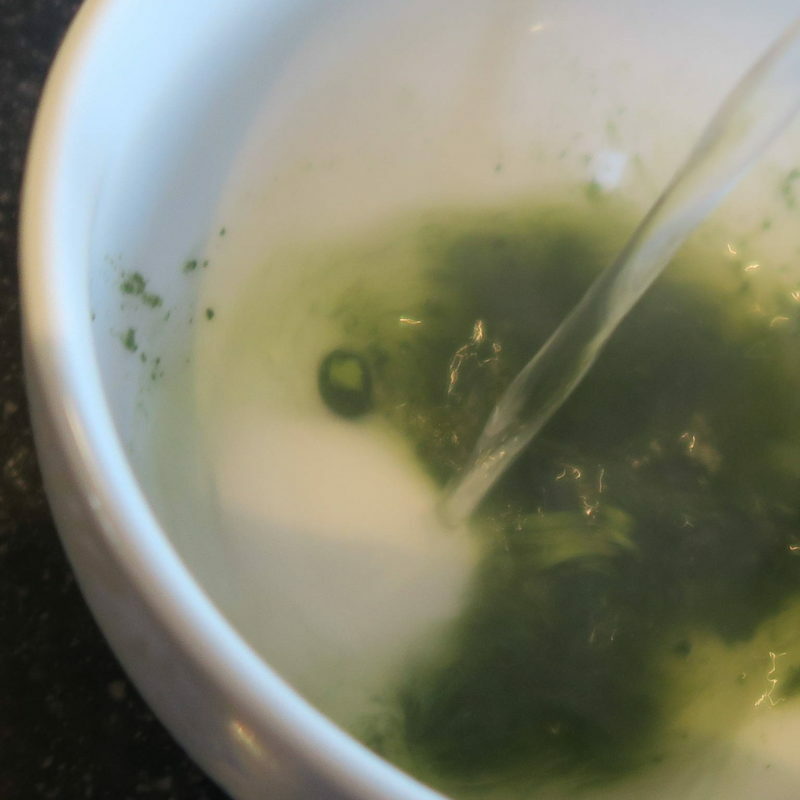 Japan’s most revered form of green tea has now become a must-have ingredient. Matcha unlike traditional green tea, preparation involves covering the tea plants with cloths before they’re harvested. This encourages the growth of leaves with better flavour and texture, which are hand selected, steamed briefly to stop fermentation, then dried and aged in cold storage. The dried leaves are then stone-ground into a fine powder so there is no bitterness. 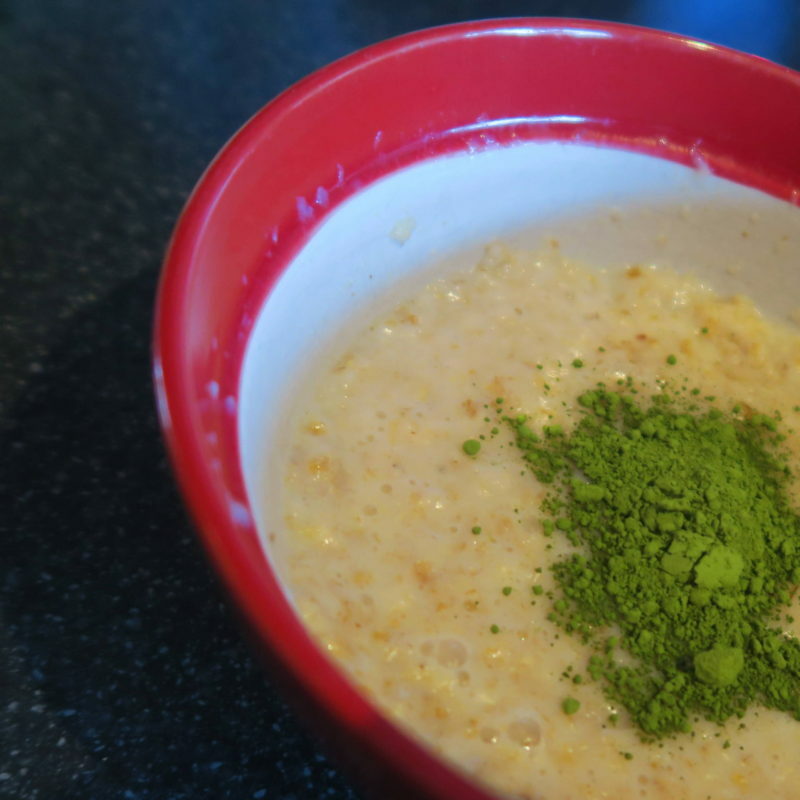 I know a good few people who include matcha in their general food diet and believe it greatly helps their cognitive performance. I have tried it before but never stuck with it as I would forget to take it. I actually don’t mind the earthy spinach taste but I guess for some it would take getting used to. 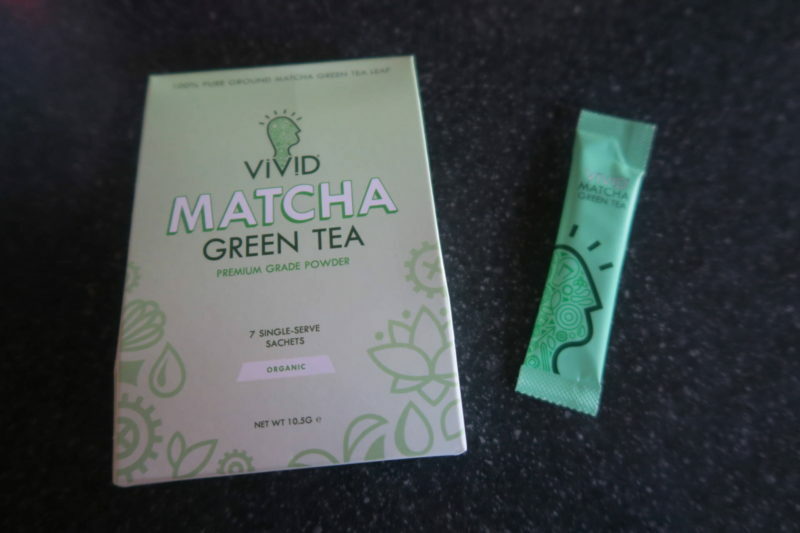 When Vivid Drinks asked if I would like to try their Brainbox 14 day Matcha Plan in the hope that it would increase my mental focus and concentration I said yes please after all I need all the help I can get. You may have read my January goals post where I mention how I want to take care of myself a bit more this year and that includes brain health. I accept there will be stress in life but managing it is vital to wellbeing. I was really impressed with the website’s productivity ideas for example having the colour yellow in the office or your workspace has been shown to boost concentration and alertness or adding plants in the workplace can be very beneficial. The higher level of concentration can be attributed to the plants ability to reduce excess carbon dioxide in the air. Upon opening the Brainbox I found two small boxes each containing 7 single serve sachets. 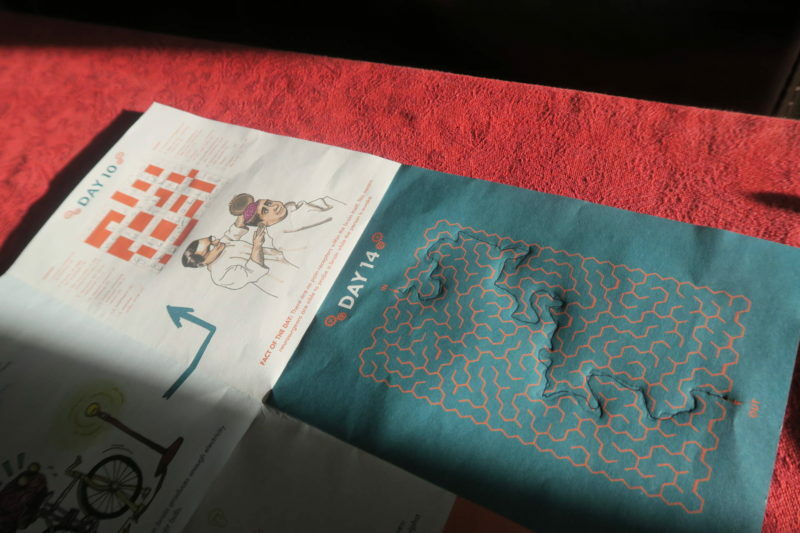 Also included was a wall planner of puzzles, teasers and recipe ideas for each day. The idea of working through them I thought was great to help my gray matter. I’m usually rubbish at crosswords but felt pretty pleased to have completed one in full! Mr M worked out the triangle teaser whereas I was out by 3 but nevermind. I did all on the other tasks and it made me think how giving the brain some daily exercise is just as important as physical exercise. As a busy mum I know how exhausting days can be so on day 5 for example the task was to make a list of three priorities for the day. I am a list maker so this was fine to do. 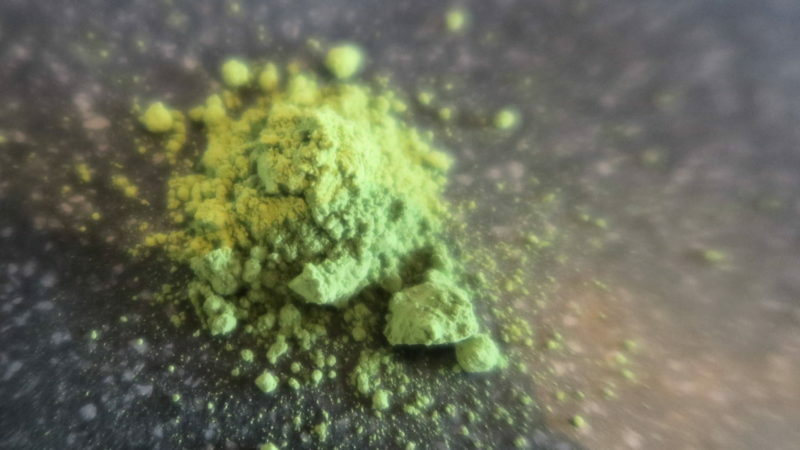 As for the powder there is caffeine and an amino acid called L’theanine all helping this matcha to be the antioxidant enriched powder that keeps the mind relaxed and alert. This seems to be one health fad that has the backing of science. The ways in which I have incorporated matcha into my diet are by adding it to soups, yogurt, butter on toast, smoothies, hot chocolate with almond milk and I tried to make matcha cupcakes but they didn’t turn out so well. Still I am going to stick to this green goodness. 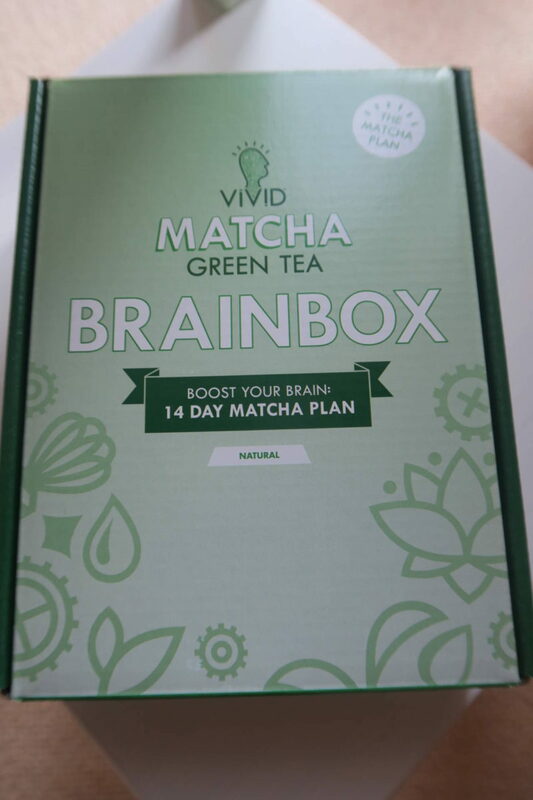 The Brainbox is available in Holland & Barrett retailing at £19.99 and I would love to know if you use matcha and have any recipes you would like to share.